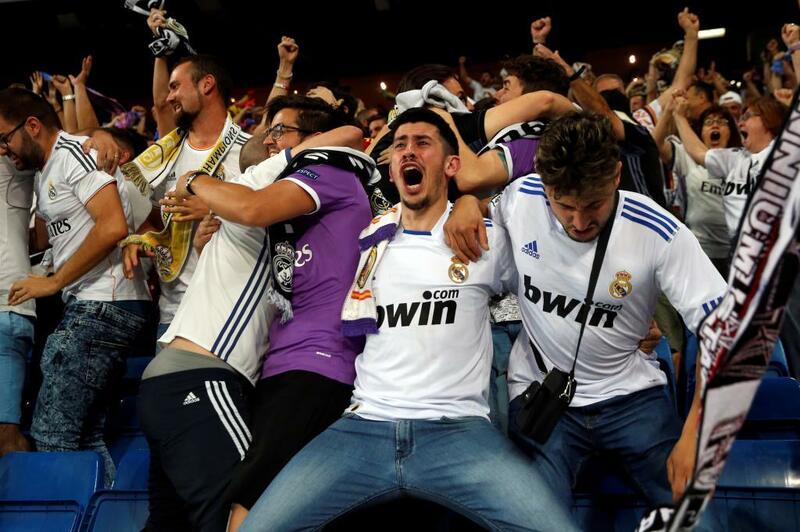 Whilst the Champions League trophy was lifted in Cardiff, the scenes were as joyous in the Estadio Santiago Bernabeu as local supporters continued their celebrations. 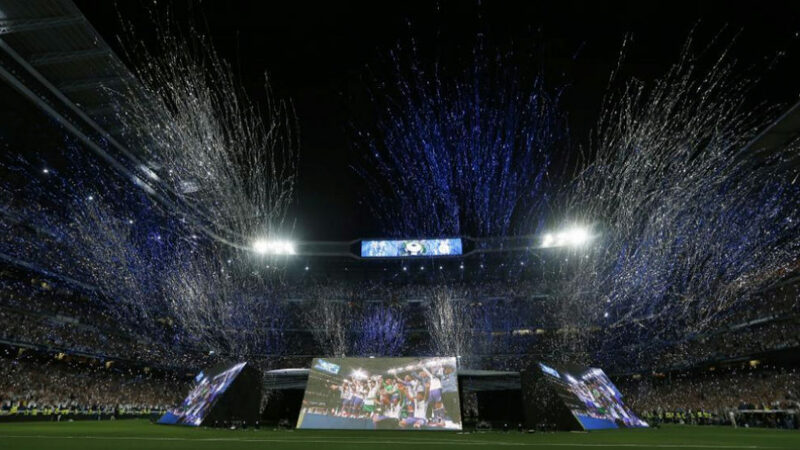 Real Madrid opened the club’s home stadium to supporters who wished to watch the clash with Juventus on a big screen. Eight screens in total were in position as happened for the last two Champions League finals whilst there was a DJ and PA announcer to help proceedings along both before and after kick-off. This will be the very start of a period of partying in the Spanish capital over the coming days as Los Blancos enjoy the fruits of their labour over the course of an incredibly difficult season. Fans were in position well before kick-off as chanting built an atmosphere not dissimilar to an actual home match at the famous stadium. Cristiano Ronaldo’s opening goal brought a crescendo of noise to the stadium that lasted almost six minutes before Mario Mandzukic’s phenomenal overhead kick sent the fans into stunned silence. As the final whistle was blown supporters had been ready to celebrate for the best part of 20 minutes and many rushed onto the pitch as scenes of joy continued.